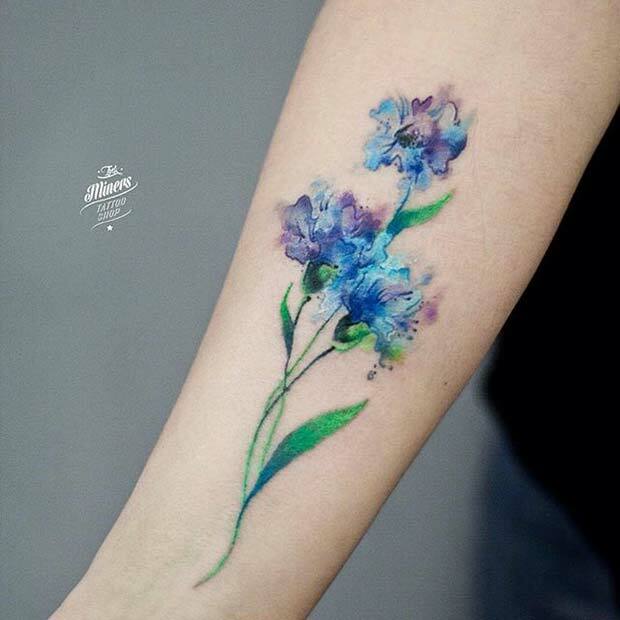 Flowers are a great way to play around with watercolor effects and as you can see from this beautiful blue floral design, you can really make the colors pop! Combining a dark colour like the black you can see here with the watercolor shades of blue and also white is a great way of making your stand out from the crowd. 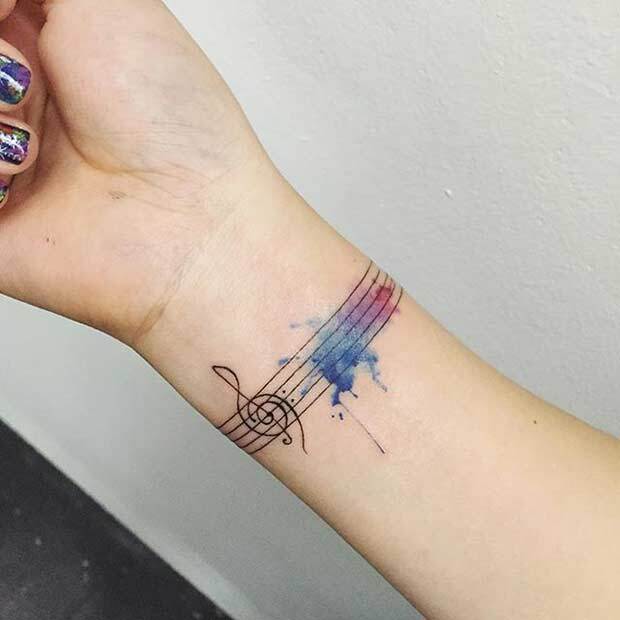 If you have a simple, old, black and white tattoo and are thinking of giving it a revamp, why not look at adding watercolor features just like this simple musical tattoo? 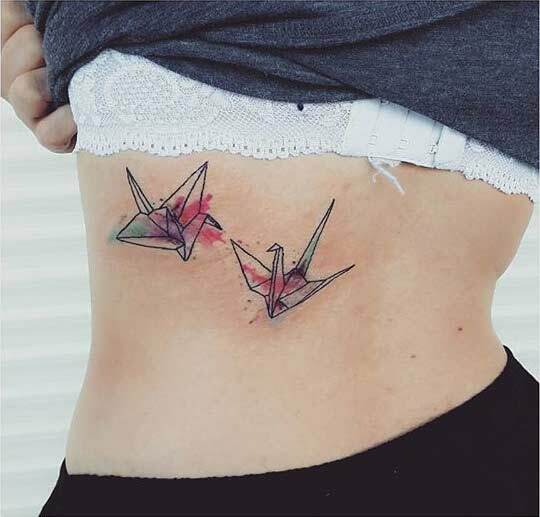 Origami and watercolor go hand in hand together and is a great way of adding new twist to the bird theme if you’re not looking for something traditional. 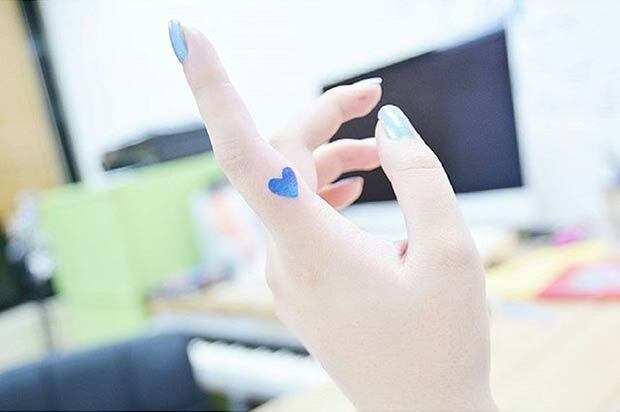 Small, discreet and totally adorable, why to show your love for someone with a beautiful blue watercolor heart? 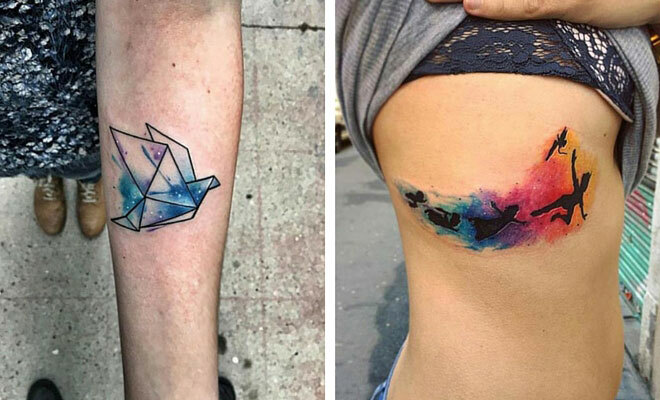 Many people think of watercolor tattooing as being unstructured but as you can see here, it can be as much or as little structured as you like! This hummingbird is stunning and those colors are breathtakingly beautiful. 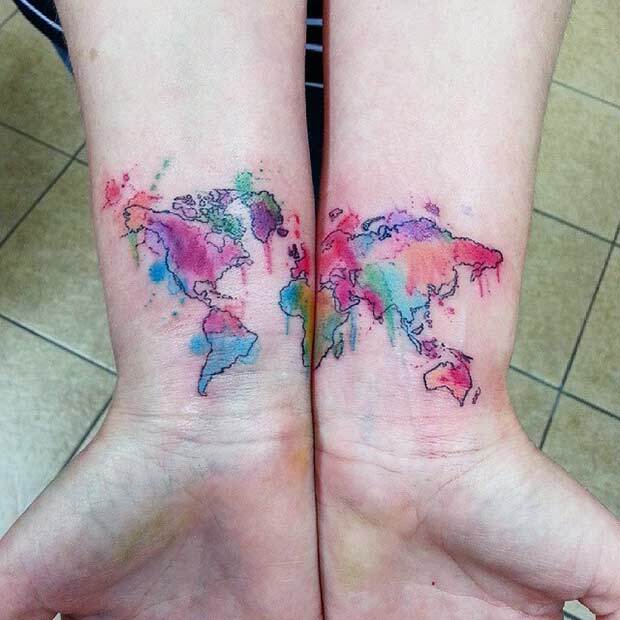 If travel is your passion, why not start with an empty map and add your watercolor effects to the countries you’ve travelled? 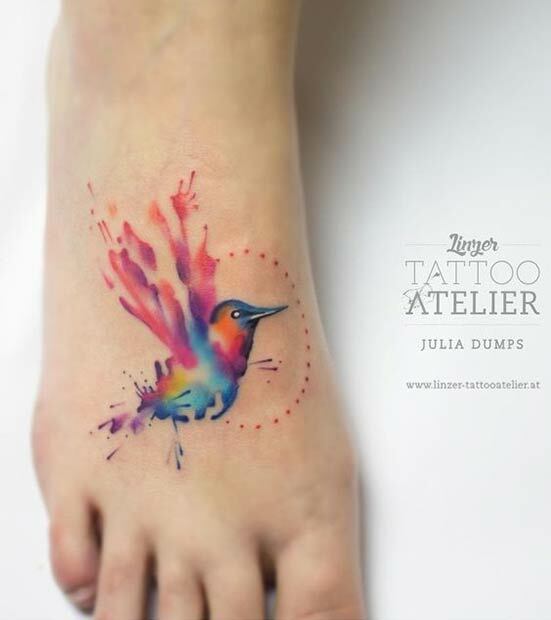 A great way to have a tattoo with plenty of meaning AND memories! 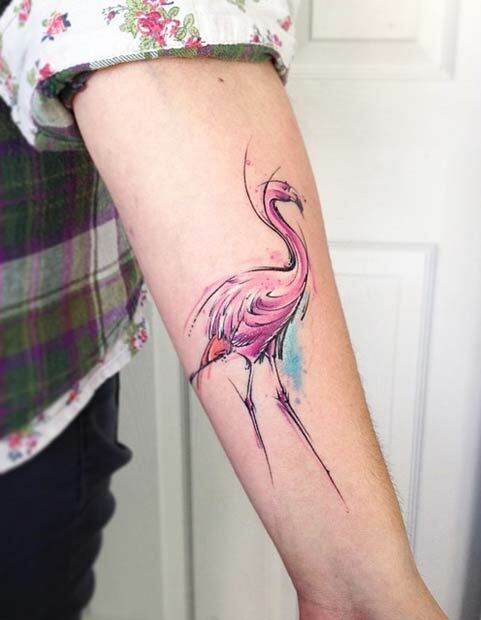 It’s not the most popular of bird tattoos but the flamingo is said to represent something eye-catching, bold and beautiful, and we can’t forget that these beautiful birds are very social animals too. 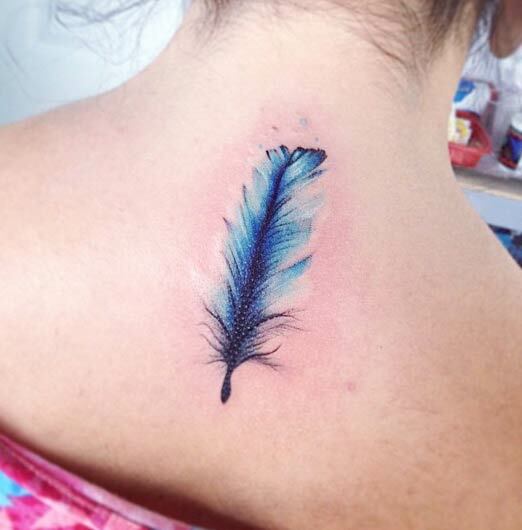 Perhaps symbolising a social person? 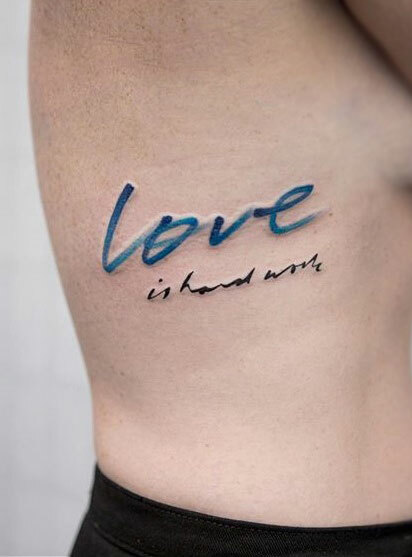 If you had the word ‘love’ written while you were in a state of love, but that love has since disappeared, add to your tattoo in the best possible way with the words “is hard work”. It’s true. Love IS hard work! Do you have a strong family you’re proud of and can believe in? 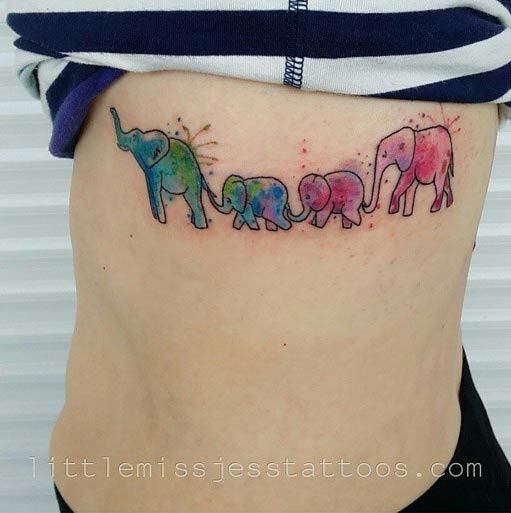 Why not represent them with this cute elephant family watercolor tattoo? You cold have each person pick their favorite color for a more personal approach too. That Peter Pan tattoo is easily one of the coolest tattoos I’ve ever seen. I can’t tell how they managed to pull off that 3D effect with the silhouettes, but it’s awesome. What kind of flower is number 34? Hi, Amanda! Glad you like it. It’s an Iris flower.